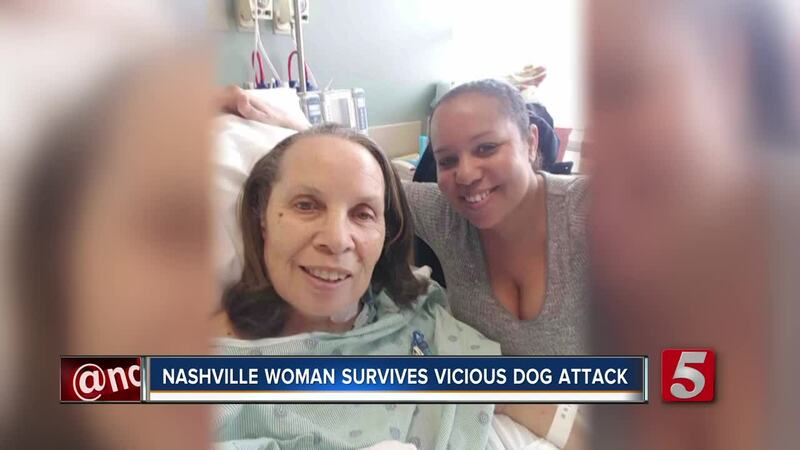 A Nashville woman has been recovering after a vicious dog attack in Chicago. In March, Marion Fowler went to the windy city to visit a family member in hospice before they died. She was walking near a relative's home when the attack happened. "They were dragging me back and forth on the ground," Fowler said. The animals caused major damage to her leg and arm. "Literally fought for my life," Fowler said. A good Samaritan started honking their horn at the dogs and called 911. "The sirens that they had, the dogs ran away, and so I looked and I saw the two policemen walking toward me, and I turned to the right and the more vicious of the two dogs started running toward me again for his last attack," Fowler said. "I heard the gunshot and then relaxed because I knew that the fight was over." Almost 15 weeks later, she's still at a medical facility. 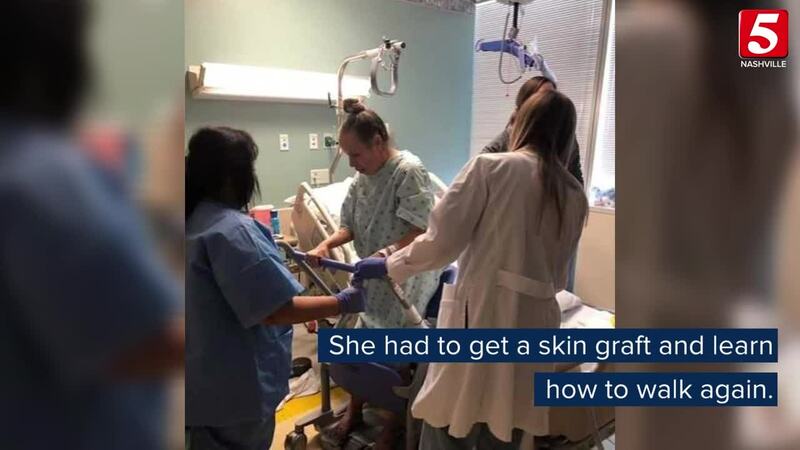 She had to get a skin graft and learn how to walk again. "I thought I was going to have to have an amputation," Fowler said. Fortunately, doctors were able to save her leg. Now, she's regaining strength through rehabilitation. She said her faith has helped her stay strong. "God has been with me from the beginning, to the very time now that I'm able to do this interview," Fowler said. Fowler hopes to return to Nashville in two weeks. With growing medical costs, her daughter started a gofundme page. If you would like to help Fowler pay for her medical expenses, you can donate here . Fowler is an usher and sings in two local church choirs. She said she looks forward to getting back to singing on Sundays.